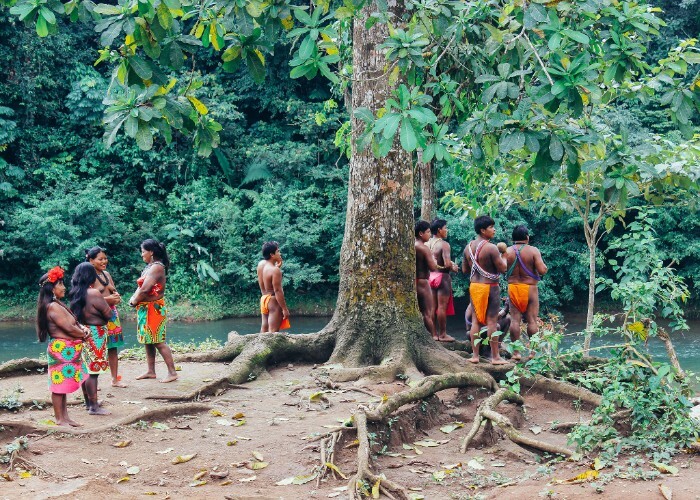 Emberá-Wounaan are one of the three indigenous peoples of Panama. They are from Choco region between Darien and Colombia; and belong to the Carib race that originated in the center of the Amazon. 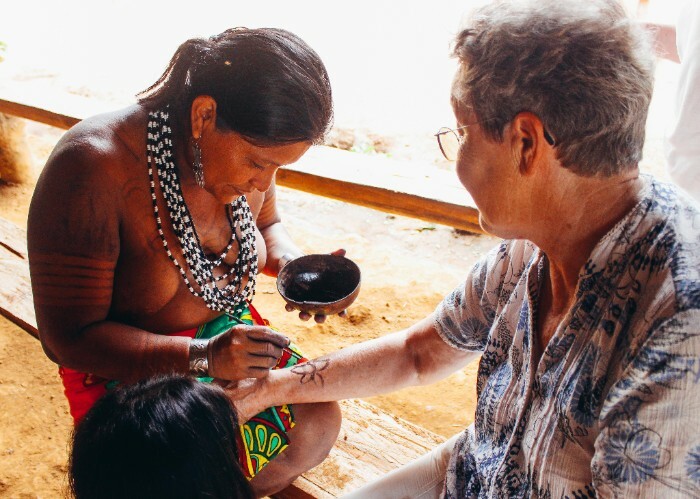 Some Emberá groups moved from Darien to the slopes of Chagres River near Panama City in the 60's. There are about 5 villages receiving visitors in their homes. Once in the village, visitors can take a walk and observe their way of living, how houses are built, their crafts, culture and enjoy a simple but tasty, local lunch of fresh fish and fried green plantains. Overnights in villages are also possible. Gatun Lake was built to make the Canal possible, a valley was flooded to allow ships to cross the Isthmus from Atlantic to Pacific Ocean and vice versa. The biodiversity of the Panama Canal areas is very rich, contrary to what was predicted when species begin to live together in the lake, for example. In this trip visitors will enjoy the Canal from another perspective. 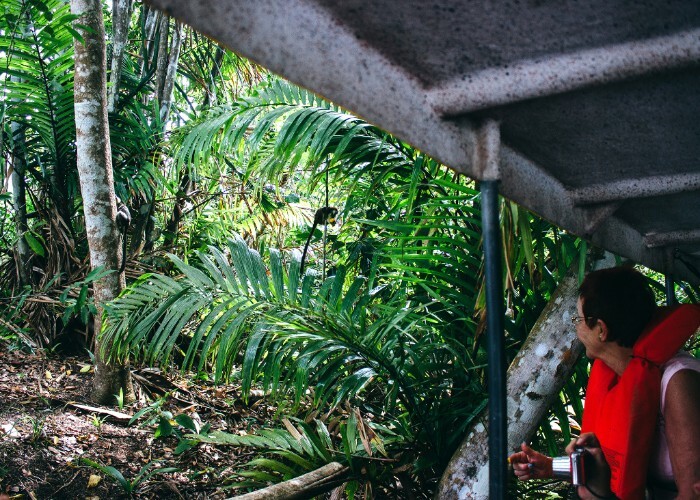 During a boat tour through the Gatun Lake and its islands they will explore a rainforest inhabited by monkeys, sloths, ant-eaters, birds, crocodiles, caimans and countless other fascinating species. Also big ships can be seen transiting the Canal alongside us! After, visitors will reach a floating lodge for a typical panamanian lunch to then relax in hammocks or continue exploring the area on their own while kayaking, swimming or fishing. 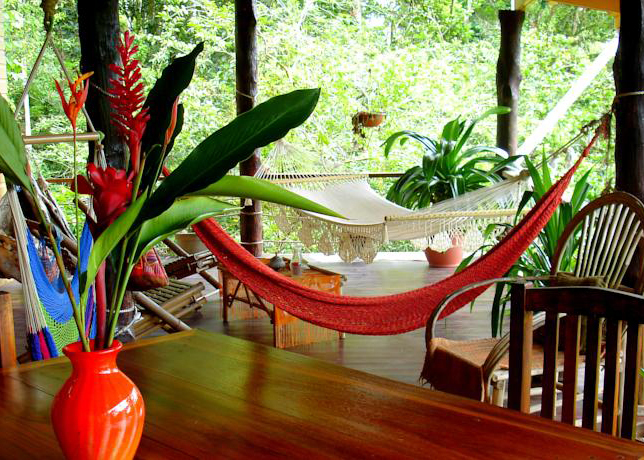 This eco-lodge is localted on the tranquil shores of Dolphin Bay in San Cristobal Island, a short 20 minute boat ride from Colon Island -main island of the archipelago of Bocas del Toro-. It is uniquely tucked away behind a series of mangrove islets, water conditions are closer to a lake setting. Dolphin Bay Hideaway has 5 rooms with different prices and features. 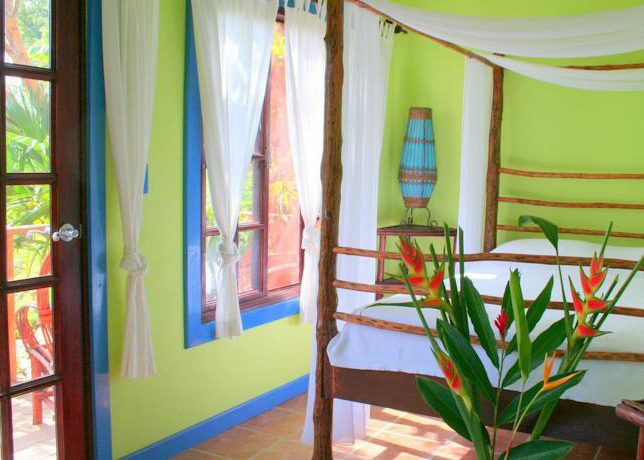 One room is over the water, others have panoramic veranda, a lush tropical garden, or views to the pond and bay. Their rates included breakfast, dinner and the use of some aquatic equipments like snorkel gear, stand-up-paddle board, kayaks and even traditional wooden dugout! Guests jump into the water right in front the lodge to swim or float about on rafts, meander up a jungle stream, view shore birds and abundant aquatic life, or take a paddle out to view the dolphins. Even though they can often see dolphins close to the dock without even getting out of their hammock. There is no "best time" because they are most likely to appear as they are permanent residents in the bay and can surface at any time. 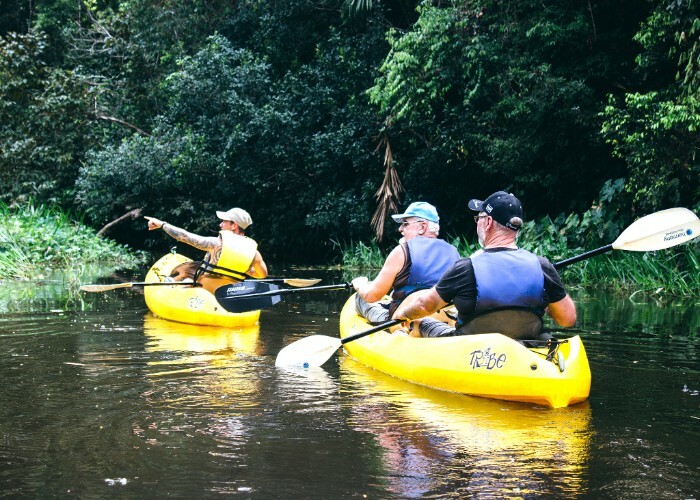 Nearby small communities of Bocatorito and Aldana provide excellent opportunities to observe local life and even paddle to their awesome neighborhood taco restaurant. Meet us at ITB Berlin, the World's Largest Travel Trade Fair! Our manager, Ana, will be available for meetings from March 9 to March 11. 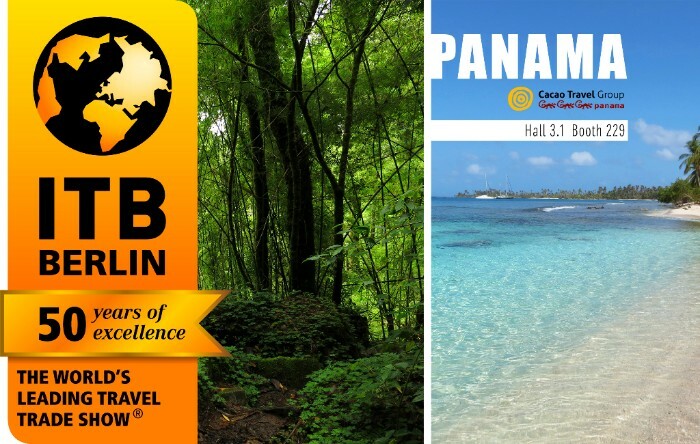 Discuss with her about Panama's ultimate locations, activities and best accommodations for your clients. Panama stand will be located in booth N°229, Hall 3.1. 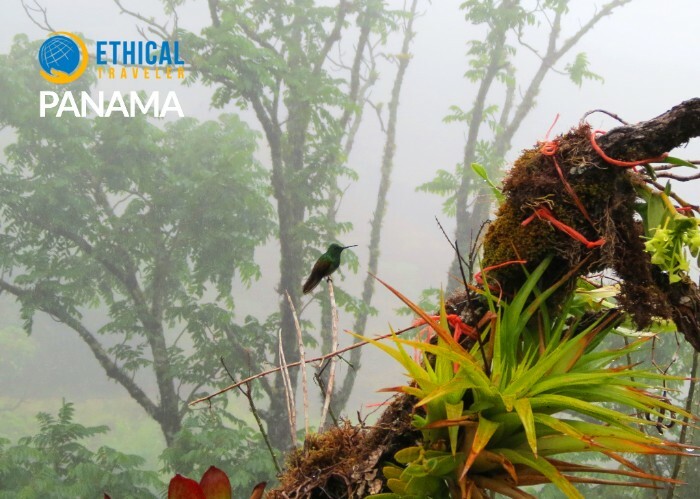 Panama made it to the top 10 of best ethical destinations for 2016. Panama has intensified its reforestation efforts, encouraging farmers to create sustainable tropical ecosystems, plus several large-scale reforestation programs are being carried out or planned. On the other hand, together with Mongolia we had the lowest unemployment rates, both reporting less than 5% of the workforce unemployed. These are just few highlights that positioned our country on this list. Let us know what kind of information would you like us to include in our monthly newsletter. 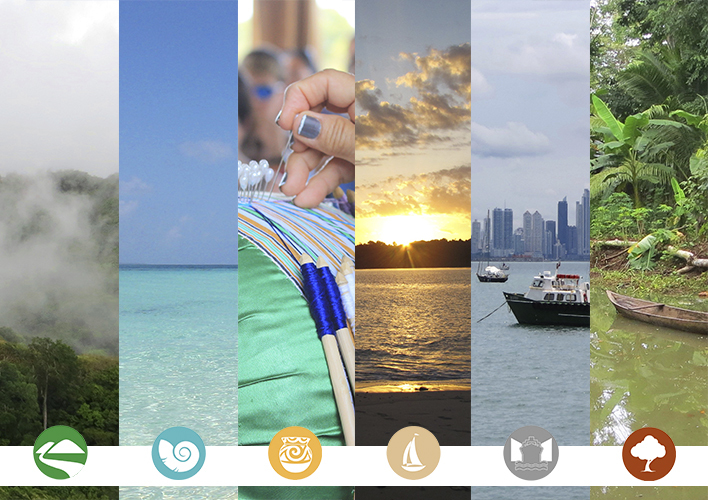 Together we can continue to create unforgettable experiences in Panama! Copyright © 2016 Cacao Travel Panama, All rights reserved.